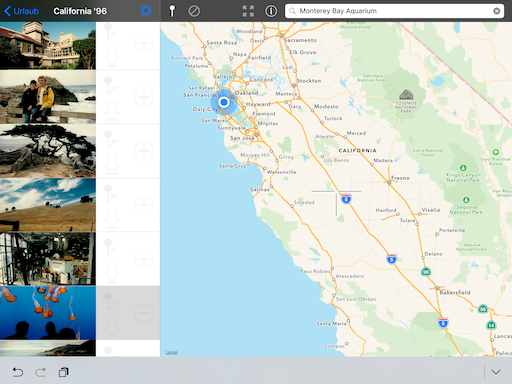 The map is the central part of PinApp. 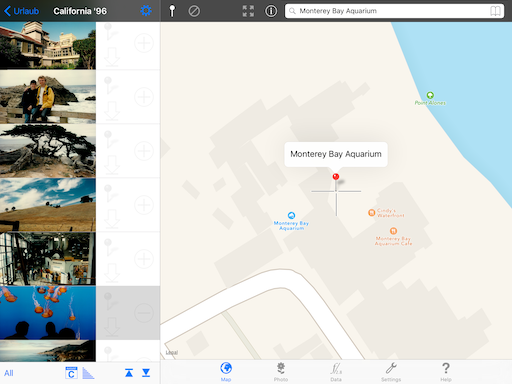 Here you assign geotags to photos, or look up photos which you have already geotagged. 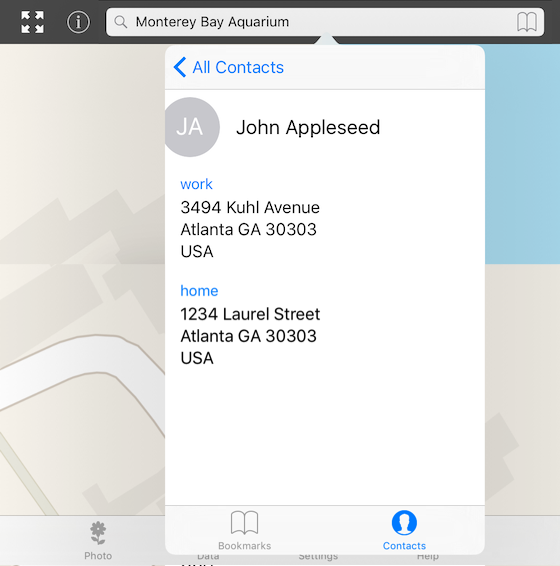 To find locations quickly, you can use the contacts in your address book, or add your own location bookmarks. Here I have selected a photo which I took years ago in the Monterey Bay Aquarium. PinApp makes it easy to move the location to this place. The map is centered on the found location. Sometimes the search will fail. Then try to enter the address more exactly. It may take some trials to find the right address, however you can always navigate manually to a location. 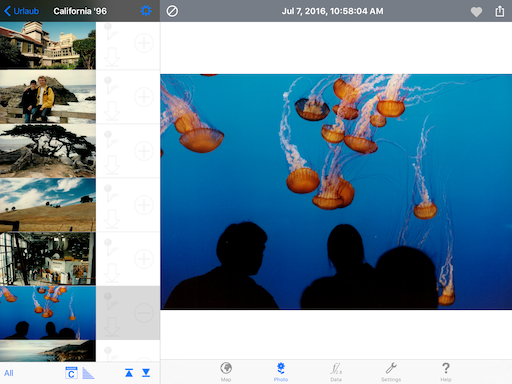 Tap on the pin on the toolbar and the selected photo gets a (new) geotag. A red pin besides the thumbnail denotes, that a geotag has been set, a red pin on the map shows the location. Now we want to store this nice place as a bookmark for later use. Tap the bookmark button at the upper right corner. 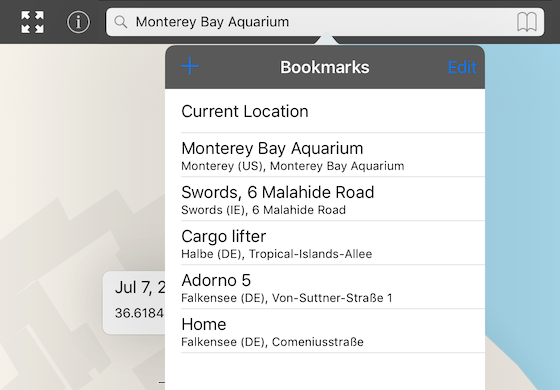 The bookmarks list is divided into Bookmarksand Contacts. 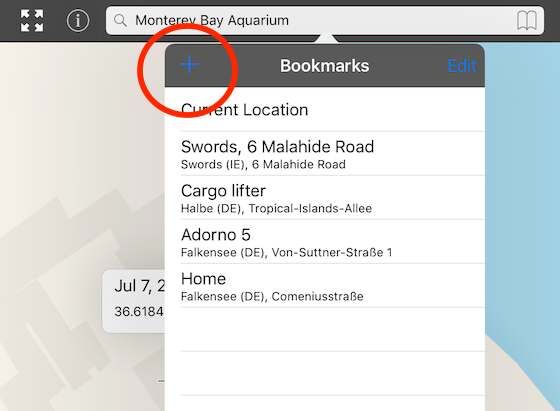 Now tap the [+] sign on the bookmarks panel, and PinApp tries to find a meaningful address for this location. PinApp has found an adress and fills in some details. Of course you can reorder or remove bookmarks. 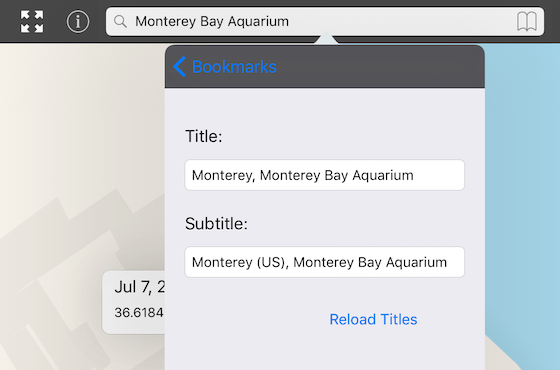 Tap onto Edit on the bookmarks panel. Now we want to use an address from our contacts list. 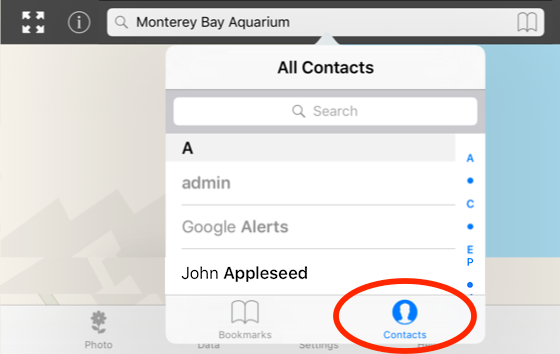 Tap on the book icon, then on Contacts on the bottom of the bookmarks panel. 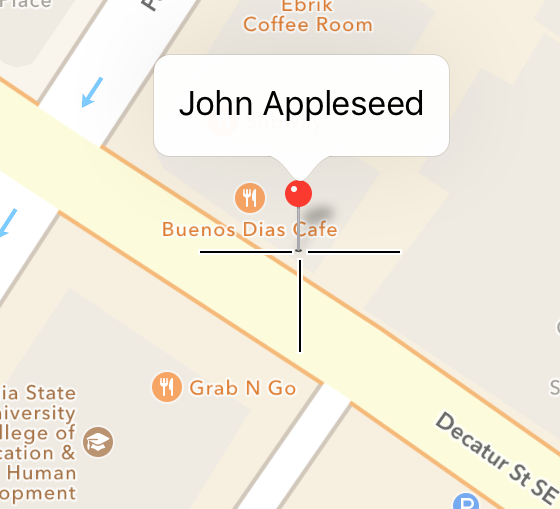 John Appleseed has two addresses.